ITT PRO Services (Seneca Falls, NY) has announced the launch of the i-ALERT Ai (asset intelligence) platform. 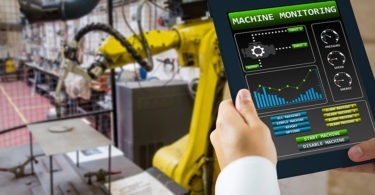 Leveraging the Industrial Internet of Things (IIoT), this web interface allows users to manage and monitor all of their i-ALERT2-enabled rotating equipment and sensors in one place, from anywhere in the world. According to ITT, the Ai platform is the latest service to be introduced since the May 2015 launch of the company’s i-ALERT2 Bluetooth Smart-enabled machine health monitor. Available on a subscription basis, the i-ALERT Ai platform requires no downloading of software or dedicated hardware to run. With it, users can view trend data, machine notes, technical data, and vibration spectrum data collected by way of the i-ALERT2 application (app), all visualized in a simple timeline. The new offering complements the i-ALERT2 route customization feature (introduced in 2016) that is said to cut collection of machine performance data by as much as 50%. After setting up designated routes with the i-ALERT2 mobile app, technicians are automatically guided to various assets and advised on the types of data to collect. Once a route is completed, the app automatically generates a report and emails it to the user. • Asset Intelligence: Users can monitor the health of any rotating machine, i.e., pumps, motors, fans, mixers, gearboxes, and more. The technology tracks 3-axis vibration, temperature, kurtosis, and machine run-time. Data is logged every hour or on an alarm event. • Ease of Use: The free mobile app and simple interface put machine monitoring capabilities in the hands of any user. • Time Saving:: The app can quickly scan multiple machines at once and cover more equipment with fewer resources, freeing time for analysis and troubleshooting. • User Safety: A Bluetooth Smart wireless connection allows monitoring from safe distances. • Early Detection: Users can view real-time and historical data, diagnostic information and machine records. This provides them with the data necessary to make informed decisions. • Problem Solving: The platform makes advanced vibration diagnostic tools available to anyone who can use a smartphone or tablet. For more information, including to view several short videos about using the i-ALERT Ai platform, CLICK HERE.